I’ve been podcasting for about a year and a half and it’s been a fun journey so far. From being able to interview the guy who invented the magnetic credit card stripe to guys that have built businesses that have sold for hundreds of millions or billions, the learning experience has been invaluable. But along the way, I started seeing unforeseen benefits from the process. There’s a podcast renaissance happening and I’m glad to be a part of that wave. I wanted to share some unforeseen benefits I’ve encountered. Hopefully, you’ll end up creating your own podcast that will deliver loads of value to the world! People have reached out to me in the past for work and I’ve been happy to at least entertain a call. In some cases, I’ve hired full time team members. I tend to view talent that comes through Growth Everywhere as high quality because it takes a certain type of mind to be consuming content on Growth Everywhere. Listeners are interested in personal and business growth – they’re entrepreneurial by nature. And because the core values around my businesses revolve around being action and growth oriented, I naturally prefer entrepreneurial-minded individuals. Not one person that has reached out to me through Growth Everywhere for work has disappointed (and I’m pretty picky). Believe it or not, I’ve been able to secure gigs for people through the podcast. I’ll often ask what I can help the interviewee with after the interview and they’ll ask for specifics like design help, marketing help or something else. By simply asking questions, I’m able to connect people who I think are the right fit and it’s a win across the board. For example, I was able to refer my friend to a technology company where he was offered a salary 35% higher than his current gig. Maybe guest podcasting is the new ‘guest posting’. I’ve been fortunate enough to be guests on multiple podcasts with thousands of listeners (such as My Wife Quit Her Job). 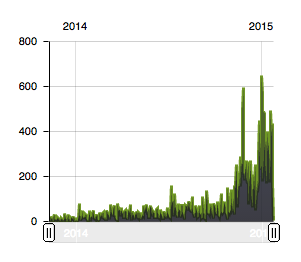 Being able to write about podcasting on Entrepreneur Magazine or HubSpot has been cool too. When you start to build a loyal audience, you start to become a brand that people trust. And if people start to trust you more, you start to become an authority. People like hearing from authority figures. One client that we signed had a rapidly growing SaaS business and the sales calls was quick and to the point. He was already sold on working with us because of what he heard from the podcast. It’s much easier to sell to people who already trust you. I’ve had PR companies reach out to get their clients onto my podcast. Although there’s a lot of room to grow, I feel honored knowing that people see my podcast as a respectable place to get their clients onto. Guests like Michael DeFranco are an example of this. It’s interesting when big hosting companies like HostGator reach out with the intention of running ads through your podcast. It’s another sign of validation and to be frank, something that I never intended to do. There’s money in podcast advertising: we’re talking $25-40 CPMs. Certainly a viable route for you to go down if you build a sizable audience. I’ve received discounts on products, extended trials, free t-shirts and more from my interviewees. Not only that, my audience gets to benefit from this at times as well. Virtually ALL startup t-shirts are extremely comfortable (that’s why I always steal a bunch when I go to conferences). The learnings are invaluable. I get new ideas on how to apply specific learnings to my projects or strong principles to keep in mind. For example, Ron Klein told me it’s important to build a cash cow first so you can then move on to work on whatever project you want. Kyle Porter from SalesLoft showed me a template on how to handle sales compensation. Andy Mackensen from HUMAN taught me the importance of building a hiring funnel. Emerson Spartz provided insight into ‘The Gauntlet‘ – a grueling reading program he puts new hires through. And much, much more. I’m going to continue to make a strong push in podcasting this year and I highly suggest you give it a shot if you’ve been on the fence about it. 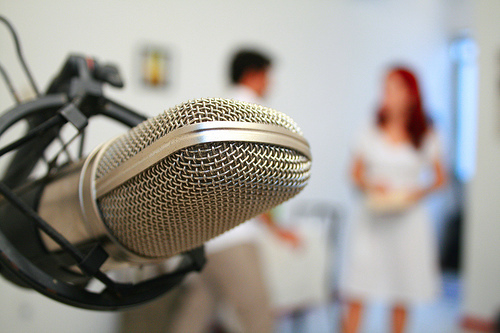 Although podcasting isn’t for everyone, it’ll pay dividends for you if you make it work. I’m just beginning to scrape the surface of podcasting and I can’t wait to see what else happens in the near future.